A EPA new rule is coming shortly, on a timeline for action on public and commercial buildings (P&CB's). The EPA has agreed to sign a proposed rule covering renovation, repairs and paint activities in P&CB's by July 15, 2015, unless the agency determines the activities do not create lead-based paint hazards. What are the odds, they won't find they do? What should you know? We'll help you with that here. 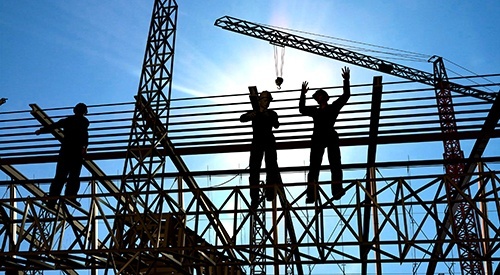 Building construction (North American Industrial Classification System industrial building construction, commercial and institutional building construction. Specialty trade contractors e.g., plumbing, heating, and air-conditioning contractors, painting and wall covering contractors, electrical contractors, finish carpentry contractors, drywall and insulation contractors, siding contractors, tile and terrazzo contractors, glass and glazing contractors. 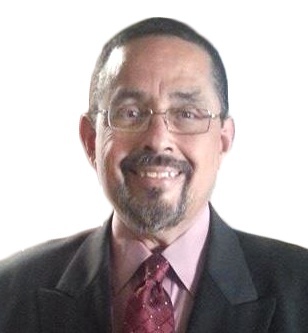 Real estate e.g., lessors of non-residential buildings and dwellings, non-residential property managers. Other general government support e.g., general services departments and public property management services. They don't seem to leave anyone out, do they? So best to prepare your business for lead based paint inspections and remediation. Even minimal exposure to lead-based paint in older buildings can harm those who are exposed regularly, especially young children, unborn children and pregnant women. 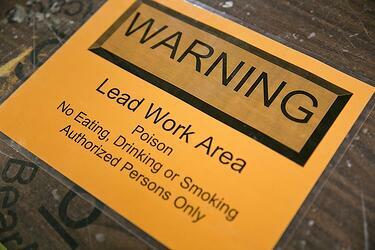 Lead gets into the bloodstream when people ingest lead paint chips or breathe lead paint dust. Symptoms of lead poisoning include headaches, muscle pain, digestive problems, loss of memory, attention disorders and difficult pregnancies for women. Long-term health problems from lead poisoning can include kidney damage, nervous system problems, learning disabilities in children, language and behavior delays and birth defects. Protecting your customers, your visitors and your family should be enough to convince you to remediate lead based paint, oh, and it's the LAW. It's not worth being on the losing end of an inspection. Fines + costs is much more expensive than remediation cost alone. What is Abatement according to EPA guidelines? (2) All preparation, cleanup, disposal, and post-abatement clearance testing activities associated with such measures. What are the processes to remove lead based paints? There are numerous processes depending on the building. The deleading of a watertower or industrial warehouse calls for sophisticated rigging and scaffolding equipment and the erection of containment structures. These methods are not applicable to the abatement of lead-based paint in target housing or public buildings. Must have a certified inspector make an assessment. closer visual inspection of the condition of the painted surfaces within the unit. test any surfaces that they determine may be a source of lead dust or lead-based chips friction, including impact surfaces such as door and window frames, or painted surfaces accessible to children such as window sills or stair treads. The abatement process must be done by a certified technician. The danger and costs of repeating the processes aren't worth the time or money versus getting it done correctly the first time. The EPA's definition of abatement includes the phrase "permanent containment or encapsulation." Encapsulation is defined as a process that makes lead-based paint inaccessible, by providing a barrier between the lead-based paint and the environment. This barrier is formed using a liquid applied coating or an adhesively bonded material. The primary means of attachment for an encapsulant is bonding of the product to the surface either by itself or through the use of an adhesive. The permanent containment of lead-based paint would be achieved through the use of a mechanical enclosure system. The enclosure should be a rigid, durable barrier that is mechanically attached to the building component, with all edges and seams sealed with caulk or other sealant to provide a dust-tight system. Encapsulation. Typically the least complicated and most affordable method, encapsulation involves brushing or rolling on a specially made paint-like coating that creates a watertight bond and seals in the lead-based paint. However, opening and closing your doors and windows eventually may wear off the coating. Encapsulation products start at about $35 per gallon. Expect to pay $600 to $1,000 to cover surfaces in a 1,200- to 2,000-sq. ft. home (not including labor). Enclosure. With this method, the old surface is covered with a new one, such as putting up new drywall or covering windowsills with aluminum or vinyl cladding. If the enclosed surface is ever removed, you’ll have to deal with the exposed lead-containing surfaces underneath. Removal. A variety of approaches are used to remove lead-based paints, such as wire brushing or wet hand scraping with liquid paint removers. Your contractor may opt to wet sand surfaces, and must use an electric sander equipped with a high-efficiency particulate air (HEPA) filtered vacuum. Another option is stripping off paint with a low-temperature heat gun, and hand scraping. Disposal. Removing lead-based paint is one thing, disposing of the material is another. Contractors and abatement companies should use a certified hazardous waste disposal company to ensure the contaminated material is disposed of correctly. If your contractor wants to place the hazardous material in a plastic bag and put it in your dumpster, beware! You’ll end up being charged, and possibly fined, for illegally trying to dump hazardous materials. Forbidden methods of removal include open flame burning or torching, machine sanding without a HEPA attachment, abrasive blasting, and power washing without a means to trap water and paint chips. The costs of doing nothing can be steep if your clients get sick. Protect the public, protect your business. Find the right people to do the best job. Do it right the first time.